To simulate an hourly schedule you can create fixed schedules with a start time and then just add a manual cycle soak that is essentially the hours between runs. 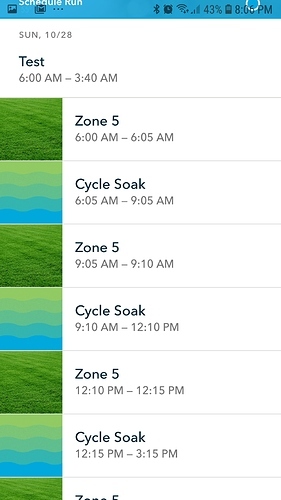 For example, if you want a zone to run for 5 minute intervals, every 3 hours just create a schedule with a total zone run time of 40 minutes with a manual soak time of 3 hours with watering of 5 minutes. The system will chunk this out into 8 periods (8x5 =40). Sounds good, thanks. 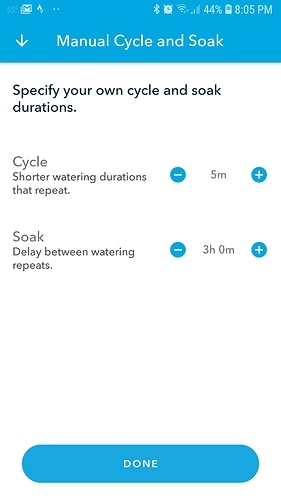 One question is while the schedule is in soak do other schedules run or dose the cycle and soak schedule hold the system hostage and nothing else works? yep as suspected it holds the entire system hostage until its done… So 5am until 9pm no other zone can water, that not even an option. not happy with this. So how would you run 14 zones for flowers, grass, trees, shrubs and grass when its 87 degrees some in full sun some in shade and your watering new seed and keeping you flowers alive? and do this with just 16 schedules. You can run more than one zone in the schedule. They will just have to have the same cycle and soak time, don’t know if that is ideal for you or not. For the true hourly schedule since you can have two hopefully that is enough for new things growing. If you want more calendar sophistication you can use something like IFTTT which integrates with Google Calendar but thats a lot of setup effort. Hope this helps. No that doesn’t. I need schedules. 16 is too little and why, it’s a computer. I have to manually add run times to do over seed and winter lawn and bought a new controller thinking it would do more than my rachio 1. It does not. 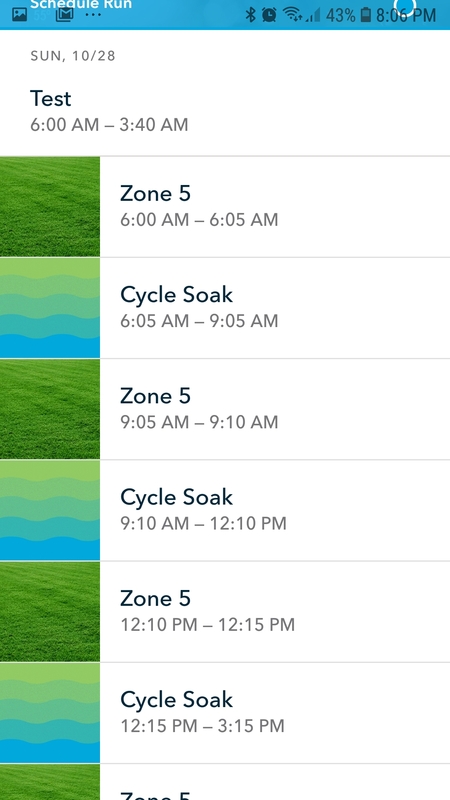 I need water at various times of the day on 14 zones and given 16 max schedules that means each zone can only run once per day with 2 zones able to run 2x. 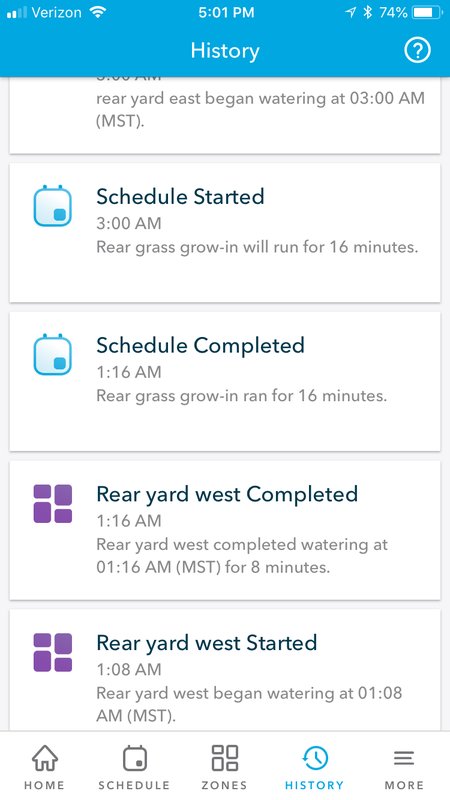 My flower pots run 3x per day, my grass in 1x per day, trees are a few times per week, shrubs are 1x per day, garden, spices and herbs are also independent… then you bring in growing grass. 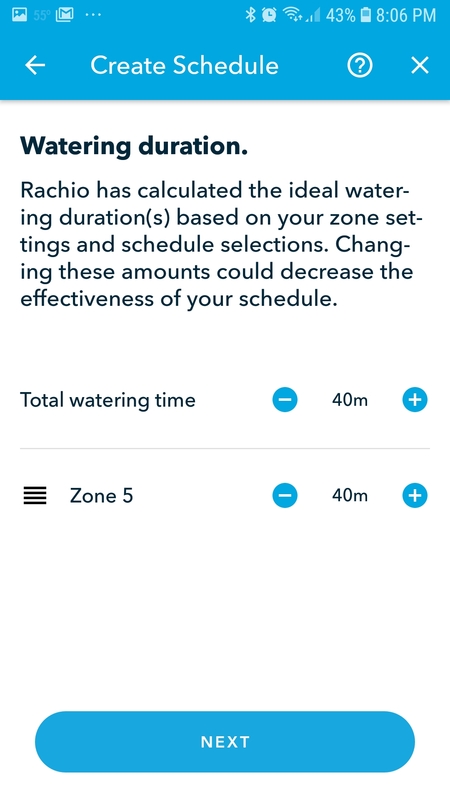 Rachio 3 is no better than the first, you’ll need to just manual over ride. 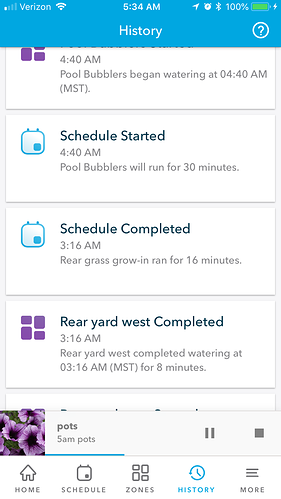 So to go farther I made a simple water grass every 2 hours starting at 5am and was ok with no ending time, still lame, but it started at 1am this morning, not 5am! Well cycle and soak admittedly work well to fill in-between my other fixed schedule and works nice… I’m just wanting more schedules so I don’t have to combine things and rework the schedule so much. Anything in the cards for the future to get more schedules? 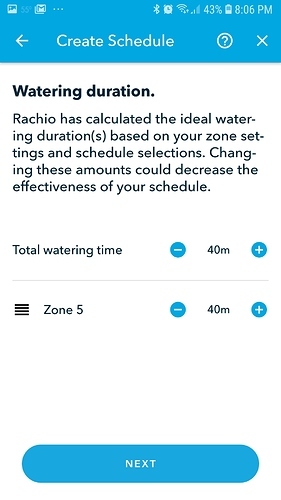 I ask for more schedules per zone per day because I came to Rachio from a Irritrol PC Control you could have up to 120 schedules per day, but nothing else like weather, flex or cycle and soak, glitch as heck as I recall. So I’m used to having more control than 1x per day per zone.